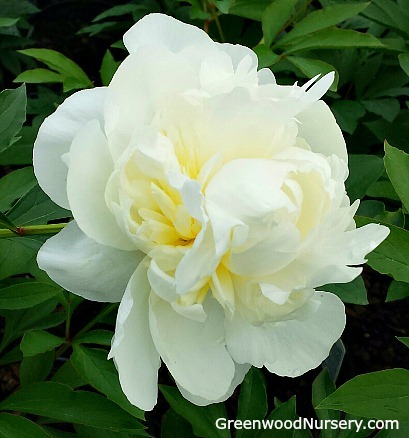 The Paeonia Duchesse de Nemours is a garden peony classic. The fragrant double white peony blooms make beautiful peony bouquets for indoors. The Duchesse de Nemours Peony is a long lived perennial plant. No need to divide. The perfect perennial flower for country gardens, cottage gardens, Victorian gardens and cutting gardens. The Duchesse de Nemours Peony is an elegant touch for any garden. Duchesse de Nemours Peony is grown in a one gallon container. Orders shipping to AZ and CA addresses will be bare rooted before being prepped for shipping.